eBay sellers registered in Singapore are quietly preparing to sell fake flash memory on eBay, another comeback. Singapore is the most likely country outside of China and Hong Kong to offer hacked memory – usb flash drives, memory cards and mp players. Over 190 new eBay id’s are getting ready, did you buy flash memory from them? 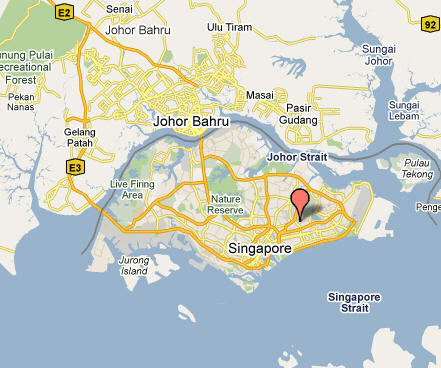 Fraudulent eBay sellers in Singapore, if detected early enough are quickly shutdown by eBay. During the past two years several internet sites have monitored the activities of Singapore eBay sellers. All concluded the fraud is carefully organized. Exposing the seller ids have led to rapid termination, at times as many as 50 been suspended within a few days. Activity during the past few months has been low for fake flash memory sellers in this region. Recent information received from the Sentinels warn of an outbreak of new fraudulent sellers shortly. Over 190 new Singapore seller ids have been identified. They have spend the last months carefully grooming feedback to appear respectable. When will they launch into fake flash memory selling? Some have already started, others are waiting to see the results – will the new id’s be suspended or not? When eBay and buyers detect id’s they will be shutdown and another group will spring into action, taking their place. This is how flash memory fraud continues on eBay. It is an endless cycle, designed to wear eBay down. Did you buy a flash memory card, usb flash drive or mp player from any of these eBay seller ids? If you have, test items immediately for advertised capacity. Read: H2testw 1.4 – Gold Standard In Detecting USB Counterfeit Drives. You may have purchased a fake flash memory product. If your memory item fails testing report immediately to SOSFakeFlash. Report the seller id to eBay as well. Please check your shipping address labels for eBay sellers in Singapore. Send all addressing information for sellers you have verified to sell hacked memory to SOSFakeFlashDrive@gmail.com Include your testing tests and the seller id. eBay Singapore 32GB 64GB 128GB 256GB 512GB: Fälschung – Falso – Namaak – Falešný – Faux – Falsificação – Lažni – Hamisítvány – Fals – Padirbtas – Falošný – Viltots – Bandia – Sahte – Gadungan – Pekeng. eBay Counterfeit Rings Continue To Sell Fake Flash Memory! ← techhunting eBay Seller Addressing Information Needed. Do You Read Chinese? techhunting Sells Fake Flash Memory On eBay. Violates International Custom Laws With False Declarations. This Seller Is Suspected Of Belonging To An Existing eBay Counterfeit Ring, Can You Help?